The release of VoiceMailKiller onto the Cydia store brings a tweak that disable’s the network provided voicemail service that allows callers to leave an oral message, should the intended person being called does not answer for whatever reason. I personally think that the voicemail service on a phone is a vital feature, and I believe that anyone who uses their iPhone for business purposes would agree with me on that. Nevertheless, the tweak by DrComputerIT definitely looks like it could gather a few fans with the feature-set that it offers, which isn’t just limited to disabling the device’s voicemail. When the tweak is active, meaning that voicemail is not active, VoiceMailKiller implements a new feature that developers are calling Groups, and aims to be a total replacement for the voicemail experience. 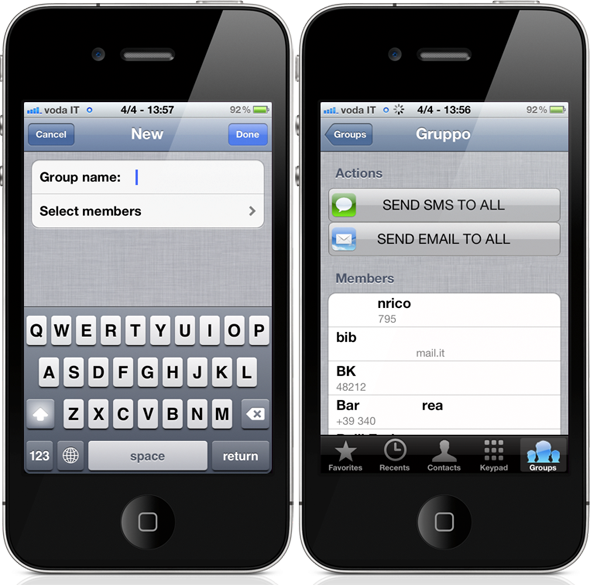 The package hooks into the native Phone app and adds a new tab bar item named ‘Groups‘. We aren’t offering any prizes for readers guessing what this tab is for, but for those who can’t figure it out; it allows the creation of different groups of contacts. An example of this would be; creating a group of work colleagues, a group of family members and a group for your gym buddies. Once the members have been added to the relevant groups, the device’s owner can send out messages or emails to every member of a specific group, so it effectively offers a mass-messaging capability in place of the native voicemail service. If you are an iPhone user who isn’t a fan of the voicemail service provided by the networks, then in most circumstances the provider can disable it from their end. However, if you like the idea of the service being entirely replaced by a group-messaging system then VoiceMailKiller may be a tweak which you might definitely want to check out. VoiceMailKiller is available from the BigBoss repository for $1.49 and requires an iPhone running iOS 5.0 or above.